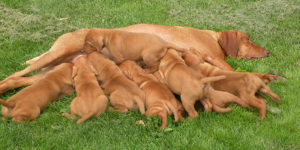 Welcome to Vizslavilla Kennel where we raise, train and breed quality Vizslas for companionship, field and show. 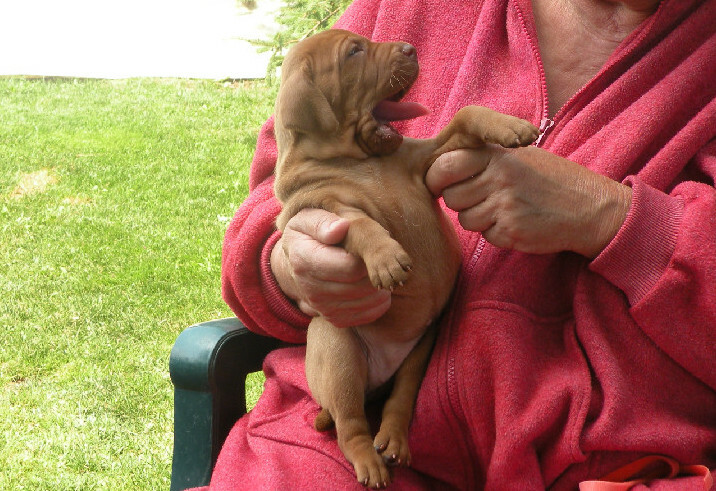 Vizslavilla puppies are CKC registered, guaranteed against birth defects for 2 years, micro chipped or tattooed, given their first shots and dewormed prior to going to their future homes. In addition, their dew claws are removed and their tails are docked. CKC or NAVHDA registration papers will be forwarded to the new owners within six months of purchase. The puppies are hand raised with loving care. They are given lots of fresh air and exercise and a very nutritious diet. We will ship to anywhere in Canada or the United States at the buyer's expense. 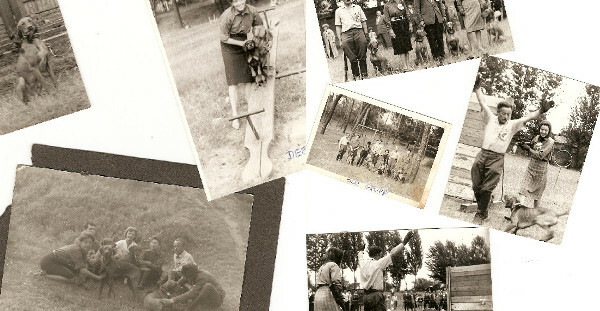 Born in Hungary, owner Irene Balla has family history and experience in breeding various types of dogs. She is now exclusively 'in love' with Hungarian Vizslas. Click/tap above to learn more about us. Excels in the field as game pointer and retriever. Medium sized, distinguished and very aristocratic looking dog. Reach their full potential when allowed to live as true family members. 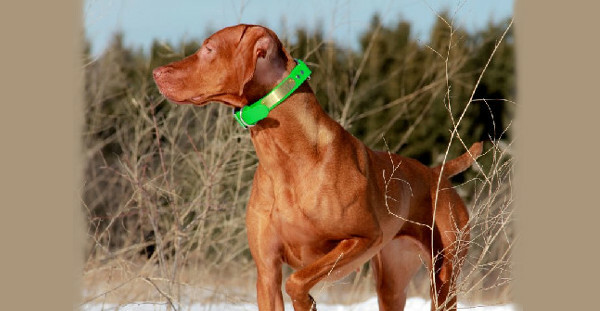 Click/tap above to read more about the history and characteristics of the Vizsla breed.